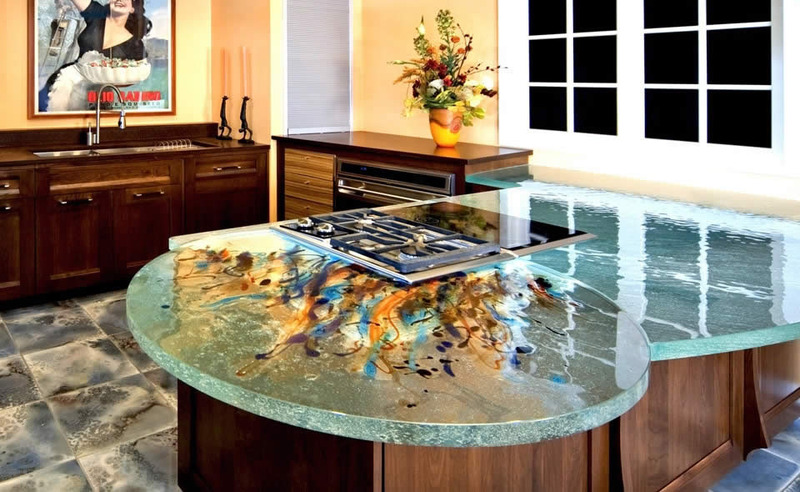 Blending function and art, these glass kitchen countertops by ThinkGlass offer unique kitchen design with smooth, glossy contemporary finish that provide a modern look. You can add your personalized artistic touch with infused colour patterns. 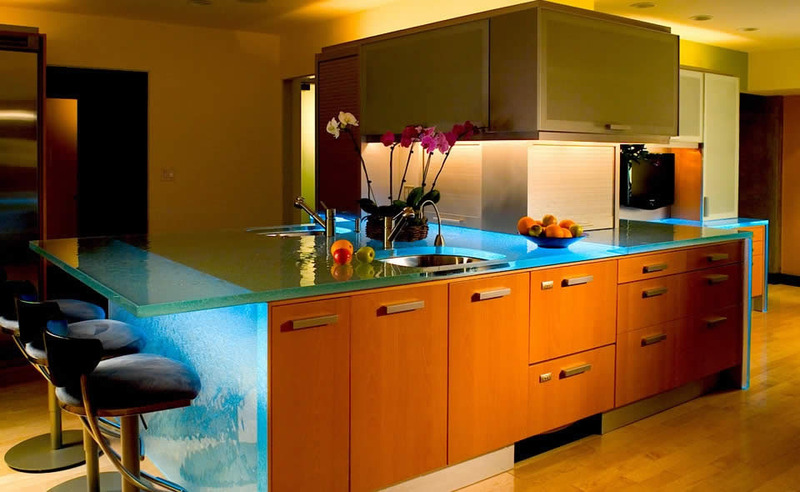 The transparency of the glass illuminated by LED lighting also creates an elegant atmosphere at night.